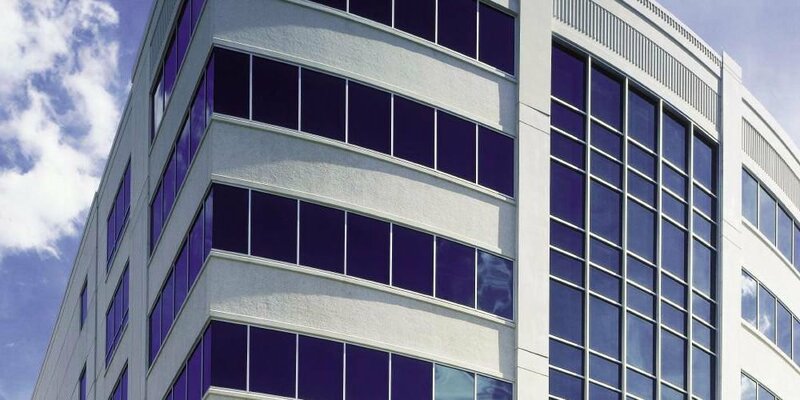 The Stick Curtain Wall System is a frame of aluminium with mullions and transoms quit similar to large framed glazing except that the walls for manin dependent envelope around the main structure and are generally not resting on the concrete structure but are only connected to it. Plain metry of the whole glass wall as a single unit and special sealing elements, materials and techniques make it a highly specialized job. The glass is placed in the belt and is being fixed with covered pressure plate.